In this article, organizational and policy aspects of two national clearing house concepts are compared and discussed. In social security, Belgium has witnessed the emergence of the so called Cross Point Bank and the Netherlands have produced the RINIS initiative. Although both countries are rather comparable, they differ in terms of their politico-administrative structures. 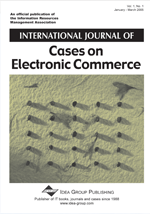 From the comparison of the antecedents of both initiatives and their form and shape, it is concluded that e-government is not a universal, necessarily converged concept and that institutions and institutional matter, not so much as to how e-government is talked about (rhetorical convergence), but especially for the ways in which e-government technologies are implemented in the real world of public administration. From the case study, there is little support for decisional and operational convergence of the e-government phenomenon.